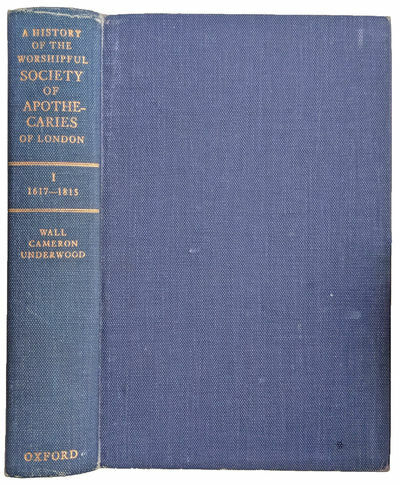 A History of the Worshipful Society of Apothecaries of London; Volume I, 1617-1815.
by WALL, Cecil; H. Charles CAMERON [ed. ]; Edgar Ashworth UNDERWOOD (1899-1980) [ed. ].